We’re excited to announce that we now offer ObjectRocket for MongoDB on Microsoft Azure. With this new global offering via Microsoft Azure Cloud, businesses of all sizes can get their data as close to their application as possible, reducing latency and improving data performance. This is especially great news for business whose applications live in places where there are strict data security restrictions in place. For example, applications hosted in the EU need to consider data rules and regulations under GDPR. We make it easy to make sure that your data is compliant. MongoDB instances are dedicated clusters of Azure virtual machines linked together and managed within an ObjectRocket Azure subscription. This allows ObjectRocket to configure, monitor, and upgrade MongoDB instances so customers can focus on their application and not worry about the database. Customers will not only have the ability to manage their MongoDB instance via the ObjectRocket Control Panel, but they’ll have 24x7x365 access to ObjectRocket’s support and deep MongoDB expertise. ObjectRocket fully manages and supports all customers with real data engineers and DBAs, not just large enterprises. 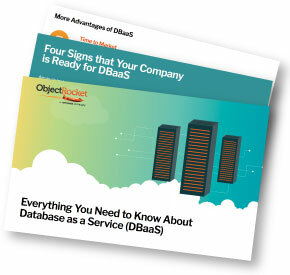 There are no upsells and no fees for migrations or our advice on optimizing your databases. This helps businesses of all sizes unlock the power of open source, enterprise-grade technology, so they can realize the significant cost savings offered by a fully managed database-as-a-service solution. We also support customers on our own platform and on popular 3rd party clouds, such as Amazon Web Services and now Microsoft Azure. Fully managed MongoDB on Azure is available now! Contact us for information on how to get started. We handle all the details and get you up and running quickly.